If you’re anything like me, you grew up being tucked into bed by your parents and reading a bedtime story together. Chances are, those memories still warm your heart and make you feel loved. So many children today are missing out on the magic of bedtime stories. It’s time we as mamas or teachers spread the word on the importance of this ritual. Bringing bedtime stories back is critical for our children and our families. Countless researchers have touted the benefits of bedtime stories. But you don’t have to have a Ph.D. in child development or education to understand how critical they really are. In fact, many of the benefits are common sense. 1. Bedtime stories give kids and parents valuable bonding time. As working parents, we often feel so much guilt over how much of our children’s lives we miss out on. Then there’s the hustle and bustle of soccer practice, dinner time, homework, and baths, so that bedtime is often one more rushed part of a crazy day. By slowing down and reading to and with your child, you’ll gain precious moments of cuddles and togetherness that you would’ve otherwise missed out on. 2. Bedtime stories help improve children’s reading skills. Who doesn’t want their child to be a great reader? By hearing you model fluent reading and expression, your child will improve in his or her own reading. You can even take turns reading pages to your child and having him read to you. This will keep your child from being tired out by the session and will give you an opportunity to hear how your child is progressing as a reader while giving them valuable practice in a non-threatening read-aloud session. 3. Bedtime stories help develop children’s vocabularies and background knowledge. Your child can often understand the meaning of words long before he or she can actually decode and read them independently. Children will pick up on context clues and determine the meaning of new words as you read to them. This is especially true if you choose some books that are above your child’s reading level to read to them during bedtime stories. Of course, the book needs to be interesting and hold your child’s attention. But it doesn’t have to be on their reading level if you are the one reading to them. As your child is exposed to new ideas and new words in these nightly reading sessions, his background knowledge will increase as well. 4. Bedtime stories encourage a genuine love of reading. To this day, I read bedtime stories. 😉 Granted, they’re on my Kindle. But I can’t seem to go to sleep without curling up with a good book. I have no doubt this love of reading started in the lap of my mom and dad as we read classic stories together before bed. Children who are read to and with regularly by their parents will have positive associations when it comes to books. Reading will invoke happy memories, and books will be associated with love. We all want our children to love reading….to genuinely love reading. So, read them bedtime stories! 5. Bedtime stories establish a routine and set children up for a good night’s sleep. Children need a nightly routine. They need to know what is expected and what is coming next. I think all humans need a routine, frankly. Getting your children into the habit of following nighttime procedures will make bedtime much less stressful, and everyone (including YOU!) will be calm and relaxed at bedtime. After bath time and tooth brushing, snuggle up for a good book (or three!). 1. Bring back the classics. Who says bedtime stories have to consist of lying in bed reading a book together? Do something different! Read outside in the summer. Have flashlight Friday and read in the dark by the light of a flashlight. Read a children’s magazine together instead of a book. Kids always love Ranger Rick, National Geographic Kids, and American Girl. Check out these magazine ideas. You could even suggest that relatives give your child a magazine subscription instead of a toy at Christmas or for their birthday. Make bedtime reading a fun and exciting experience. By changing things up, your child won’t get tired of the notion of bedtime stories. 3. “Shop” for books at the library. Let’s face it. We all get tired of reading the same books time after time. And it’s not always feasible to invest in new books. So “shop” for books at the library. Your child will be thrilled to sign up for a library card. Designate a special bag as your “book bag”, and set aside one afternoon each week to stop by your local library. Turn in last week’s books, and help your child select new books for the coming week. (You may even find a few books you want to read in your own quiet reading time!). Libraries often have not only the classics, but the newest books on the market as well. And they’re FREE! I think this would make the perfect “book” bag! 4. Play Book BINGO as a family. Print out a fun Book BINGO card and work on crossing off all sections of the card as you read together. This will encourage children to explore new genres and new books instead of always insisting that you read their favorites. It’ll get your family out of the reading rut and will add a little excitement to your bedtime stories routine. You can grab this printable here. I get that many of you reading this are teachers. I, myself, am a teacher. So how can we use our influence as teachers to encourage our students and their families to develop a bedtime story routine? First of all, I think parents need to understand how critical bedtime stories are. If they understand all that their children can gain from this simple nightly routine, they’ll be more apt to participate. Furthermore, if you help them develop a game plan for incorporating the routine into their home lives, they’ll feel confident and motivated to jump on board. I’ve prepared a helpful handout you can send home with parents. I also suggest attaching the other printables I’ve included above. Grab your handout here. 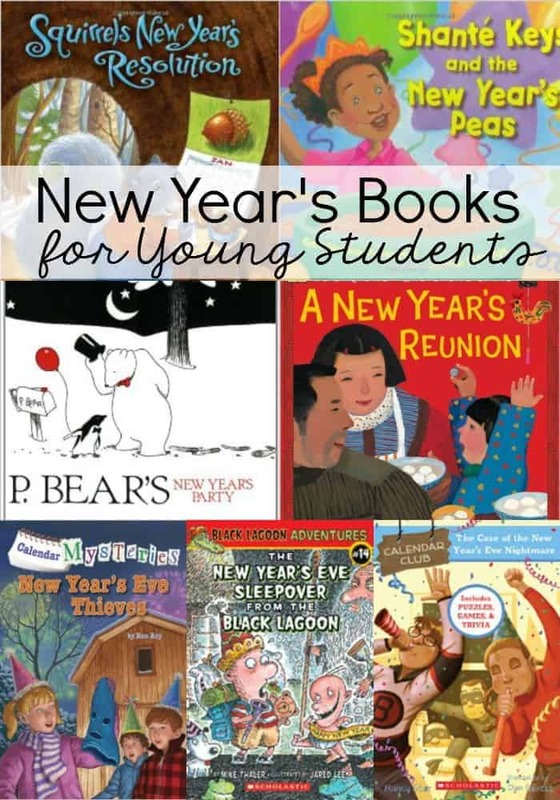 Are you interested in even more great book suggestions for 1st, 2nd, and 3rd graders? And a free summer reading program? Check out this post! 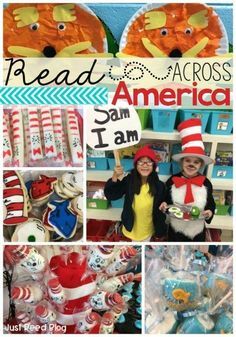 Be sure to pin this post so you can find these resources later! As I get ready to send my students off for summer break, I’ve searched high and low for the top ten math apps to help them retain what they’ve learned this year. Many of my students have tablets, and I really want them to use their technology to its full potential. 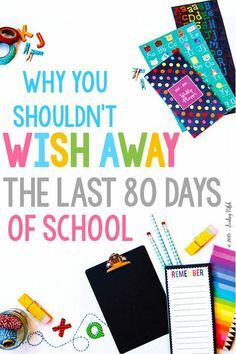 I plan to send home the free parent handout (found at the bottom of this post) in my end of the year gifts so parents have a math game plan for the summer! Without further adieu, here are my Top Ten Math Apps. 2. Thinking Blocks Addition is definitely worth checking out–especially if your child struggles with solving word problems. Thinking Blocks Addition teaches children how to model and solve word problems involving addition and subtraction. Thinking Blocks Addition is best suited for children, ages 6 to 9. 3. Sushi Monster is a game to practice, reinforce, and extend math fact fluency. Strengthen reasoning strategies for whole number addition and multiplication by helping monsters make a target sum or product. Students learn to be strategic and plan ahead with this great game! 4. Splash Math is amazing. It can be purchased by individual grade level or as a bundle. Splash Math makes math fun and engaging for K-5 kids. With 30 minutes, 4 times a week – students can sharpen their math concepts at every grade and skill level. 6. Math Board is an incredibly useful and versatile app. MathBoard can be configured to best match the abilities of each individual child/student. More than just standard drills, MathBoard encourages students to actually solve problems, and not just guess at answers. 7. Dream Box Math Green is a rigorous K-8 math curriculum. Students who use DreamBox develop critical thinking skills, deeper conceptual understanding, and independent reasoning abilities. 8. Addition and Multiplication Number Bubbles is an addicting game that will aid in fact fluency! 9. The Number Math app covers several skills including greater than/less than, before/after, missing number, arranging numbers in order, rounding, and skip counting. It can be customized depending on your students’ abilities. 10. Math Facts: Number Bonds and Fact Families will help students learn their addition and subtraction facts or their Number Bonds and Facts Families up to 20. With a series of fun and easy-to-play games, they can quickly start exploring addition and subtraction facts. Click the image below to download this list of Top Ten Math Apps in a printable format to send home with your students’ parents. This is also a handy reference to keep near your classroom technology. What are your favorite math apps? Leave me a comment! And be sure to pin this post! Not only do my kiddos LOVE reading Frog and Toad books, but they LOVE science as well. So what better way to maximize the student engagement and learning than to LINK Science and Literature with the Frog and Toad series? Begin with a science unit on Frogs and Toads. Set up your classroom library with lots of great nonfiction books about frogs and toads. You can click the image below to grab a printable list of some of my favorite titles. The students also made a life cycle spinner and completed a Venn Diagram comparing frogs and toads. Frog or Toad? : How do you Know? Next, it was time for us to explore the lives of a fictional frog and toad in the Arnold Lobel Frog and Toad series. 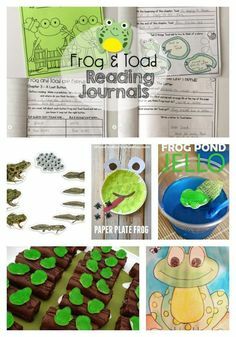 These Frog and Toad book journals are really my favorite way of Linking Science and Literature with Frog and Toad books! 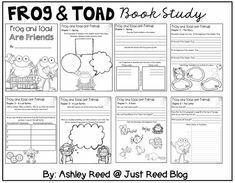 You can have individual students complete the Frog and Toad journals or use these in your guided reading groups. They touch on lots of comprehension strategies and skills such as setting, problem/solution, story BME, inferring, and drawing conclusions as well as language components like idioms, parts of speech, punctuation marks, and dialogue with quotation marks. Each reading journal contains 1 or 2 pages per chapter of that particular Frog and Toad book. The students LOVE these and they provide great practice in a ton of necessary skills for first and second graders. No author study is complete without some fun extension activities incorporating art and snacks! Here are some of my favorites from around the web. I love this SIMPLE yet ADORABLE paper plate frog from Glued to my Crafts Blog! Have your students complete this frog directed drawing as seen on Mrs. T’s First Grade Class. Incorporate STEAM or STEM in your frog and toad study with this origami jumping frog project. You could incorporate math as well by measuring how far each “frog” jumps. The tutorial can be found on It’s Always Autumn. Wouldn’t these frog bookmarks be the perfect way for students to keep their place in their Frog and Toad books? Find the instructions on Easy Peasy and Fun. Looking for some fun Frog snacks? Here you go! These Frog Pond Jello snacks are so cute and yummy. You can read about this idea on Mom Envy. These cupcakes are easy and fun. These would be a perfect Fun Friday snack to make as a class. Find this idea on Little Family Fun. Oh my word….these are SO EASY but YUM! Just use Swiss Cake Rolls for the logs and gummy frogs. I found this idea on Disney Family. Are you interested in completing this Frogs and Toads Science and Literature unit with your own students? Grab this unit in my TPT shop! Let me know how YOU incorporate Frog and Toad into your classroom. And be sure to pin this post! I think it’s pretty much a no brainer that hands on learning is important. But do you realize just HOW important it truly is? In this blog series, I’m going to show you how important hands on learning is, and we’re going to explore some ways to make learning hands on in EACH major subject area. For the first post in this series, we’ll explore hands on science….which is one of my favorites! Research from the University of Chicago showed that students who physically experience scientific concepts understand them more deeply and score better on science tests. Furthermore, brain scans showed that students who took a hands-on approach to learning had activation in sensory and motor-related parts of the brain when they later thought about concepts. WOW! Reading that fact blew me away. Students are forced to think by requiring interpretation of the observed events, rather than memorization of correct responses. Students learn that they can interpret data, often with various and differing interpretations. Students rely less on authority and more on practical experience. So how can we as teachers do our best to incorporate hands on experiences in our Science classes no matter which grade we teach? One way is by providing STEM materials and resources for open ended exploration. 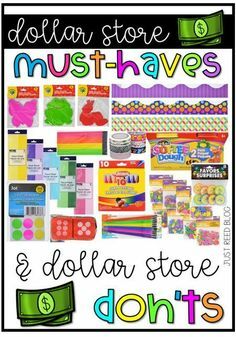 Basic supplies like craft sticks, toothpicks, straws, plastic cups, rubber bands, etc. can be a great STEM center for open exploration and experimentation. Directed STEM experiences are also great! Pinterest is full of thousands of fabulous STEM and STEAM ideas and resources, many of which are free. Here are a few of my favorite FREE STEM resources. Click one of the pictures below to visit that site! When you start planning your science lessons for the following week look carefully for one lesson that stands out for a hands on experience. Maybe you’ll choose a tricky concept that students probably won’t master without a hands on experience (like erosion). Or maybe you’ll choose something with shock value to really make the key concepts stick (like dissecting an insect). 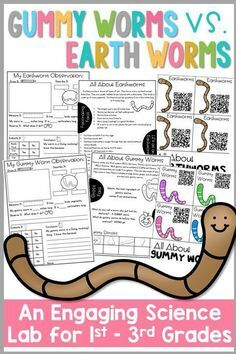 For instance, while learning about living and nonliving things this week, I allowed my students to explore and compare gummy worms and earthworms so they could truly understand the difference between living and nonliving. There were tons of squeals and lots of giggles but they were truly engaged. The lab called for lots of observation, data collection, describing, and concluding. I also integrated in things like measuring in inches and centimeters, answering questions on a table, drawing a conclusion and writing to support that conclusion, and using their five senses. Here are the lab sheets students used to record their data, observations, and conclusions. Finally students used the ipads in small groups to explore some QR code cards with information, websites, and videos about gummy worms and earthworms. I know a Kindergarten teacher who does this and her students simply LOVE it! She chooses one special scientist each week (or each month) to plan, practice, and prepare an experiment at home. Then, that student brings all of the necessary materials to school and completes the experiment with his or her classmates. The scientists are SO PROUD of themselves and they truly learn more about experimenting in this single experience than in any experiment you could design for them all year long. 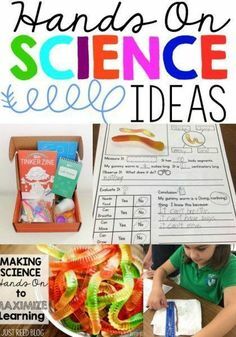 If you want to try having a scientist of the week, you can grab some fabulous FREE printables from First Grade OWLS HERE! Steve Spangler Science Club Stem Lab has three subscription options: $9.99 per month for 1 STEM experience, $19.99 for up to 5 STEM experiences, and $29.99 a month for up to 10 STEM experiences. You can check it out HERE. Tinker Crates by Kiwi Crates is another fun monthly subscription service that encourages STEM and STEAM. Who doesn’t LOVE Mrs. Frizzle? The Magic School Bus Science Club is another kid and teacher favorite! So there you have some of my FAVORITE ways to make science hands on, engaging, and memorable. What will YOU change about your science instruction to ensure more hands on learning? Be sure to pin the image below! The Inauguration brought up a great opportunity for my students and I to explore the United States–particularly presidents, the White House, Washington D.C., and U.S. Symbols. As President’s Day approaches, I’ve put together some links to digital resources you may find helpful in your own classroom! Be sure to pin this image so you can always find these videos! Martin Luther King, Jr. Day is such a fabulous holiday for learning about empathy, tolerance, peace, love, and freedom. Why not add some digital resources to your classroom lessons to give students practice using technology in meaningful ways. 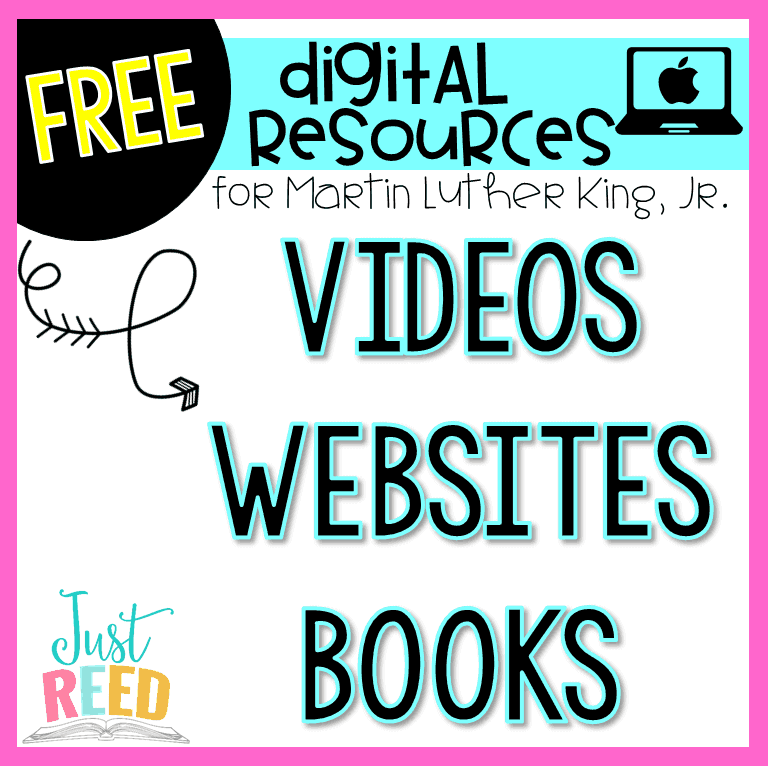 Be sure to pin this post so you’ll always have these resources handy! Click the picture below to visit National Geographic: Click the picture below to visit Brain Pop: Be sure to pin this post so you can always find these resources! I hope you found something meaningful to use with your students as you honor and learn about this amazing American hero. The average teacher walks about 2 miles a day….just during her working hours! That’s not counting the mom and wife duties she takes on at home. Last year, I noticed that my heels were feeling really sore and bruised. It was painful to walk. Especially after a period of sitting or when waking up first thing in the morning. I knew that the cute, cheap shoes with ZERO support that I’d gotten away with wearing for my first 38 years of life just weren’t going to cut it anymore. So I went on a quest to find shoes that I could actually wear. And be comfortable in. And walk 2+ miles a day in….while still looking and feeling stylish. Not an easy quest. 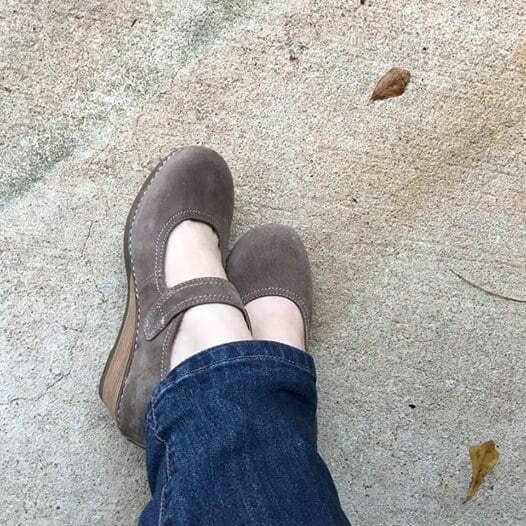 But after much searching and trying out shoes, I’ve found a favorite brand: Dansko. I always thought of Dansko as nurse’s shoes and clogs. But they have expanded their product line to include SO much more! And each season you can expect Dansko to be on trend with fabulous new releases in the season’s hottest colors and styles. So when I was given the chance to try out THESE beauties, I was ALL IN! The first pair I tried out were the taupe suede Sandras. 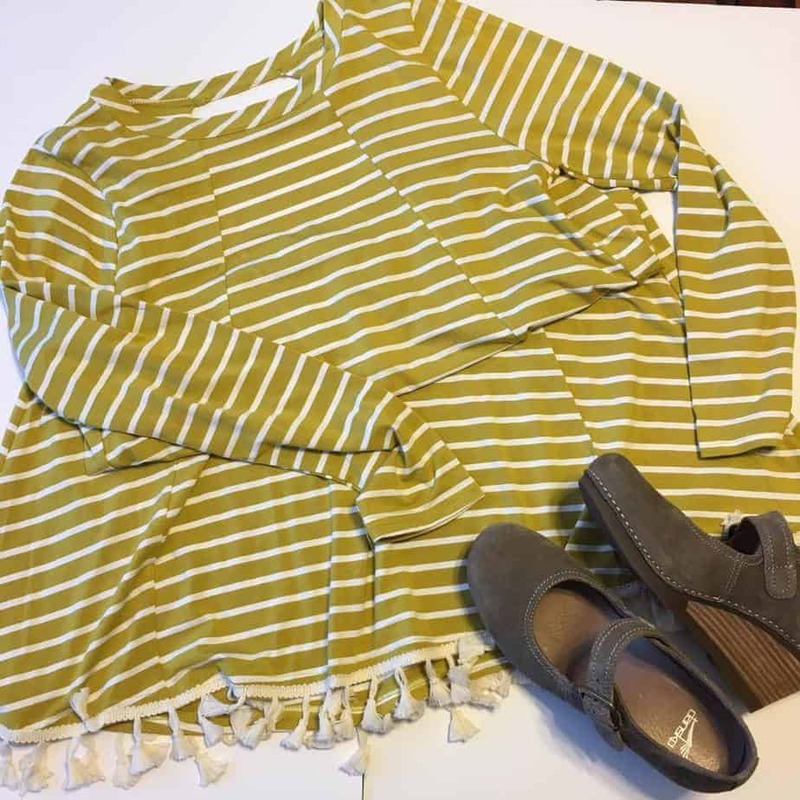 Here’s a couple of ways to style these shoes for a full day of teaching in comfort! I loved pairing this Wasabi dress with a fringed hemline with the Sandras. Bare legged was perfect for early Fall. Or, pair them with white tights and add a denim jacket for cooler days. This time I paired them with khaki Moto skinny jeans and a rose-colored 3/4 sleeve top. Again, soft, comfy, and totally teacher-worthy. 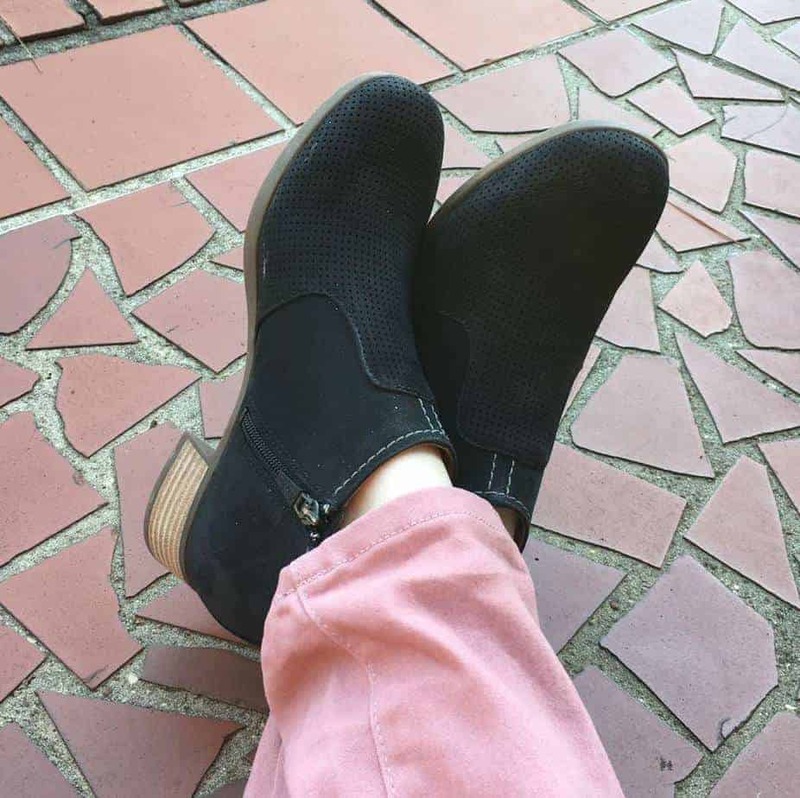 The black nubuck Lola booties were perfect and stylish for a full day on my feet in the classroom as well. Once again, I loved the little heel that gave me some added height! I love the contrast stitching detail on these shoes as well as the textured upper section. I paired them with some pink skinny jeans and a graphic tee. On this day, I wore them with a buffalo plaid black and white sweater and some black skinny jeans. So stylish and my feet felt like HEAVEN! I also love them paired with this shortsleeve sweatshirt dress on warmer days. 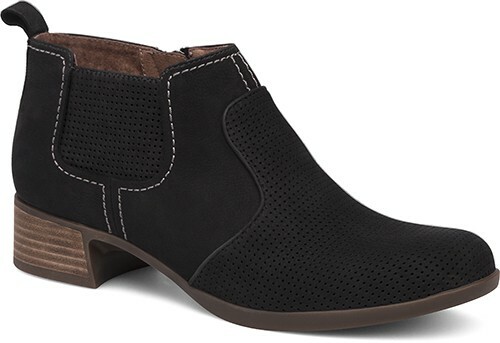 These booties will transition nicely into Spring! 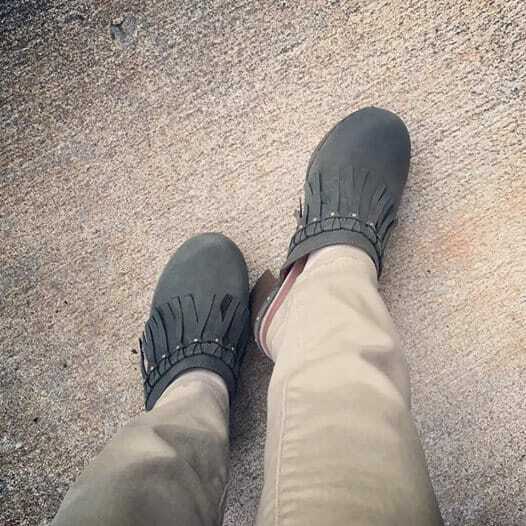 The last beauties I tried out were more classic Dansko style–clogs! These olive Denis are no longer available, but they are AMAZING. Seriously, one of the softest and most comfortable footbeds of all 3 pairs I tried! I love the fringe detail that dresses them up. 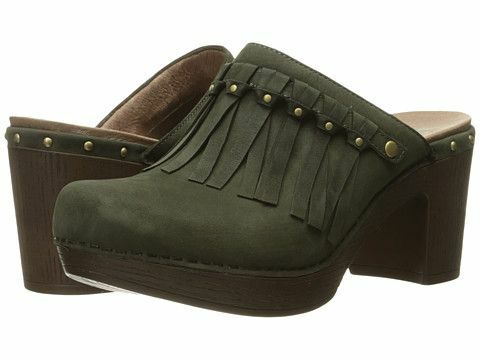 And Olive is definitely *my color* this Fall and Winter! I paired these *favorites* with some classic khaki pants and a mustard sweater. I’m officially a shoe convert after this experience! Plantar Fasciitis doesn’t have to mean ugly orthopedic shoes. If you’re tired of sore feet, try out your first pair of Danskos. I think you’ll be pleasantly surprised! Now off to swoon over my Spring must-haves…. 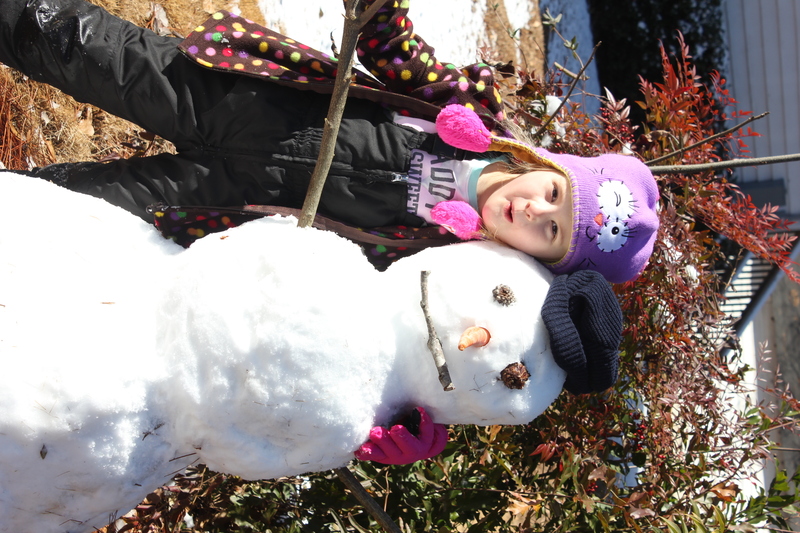 Don’t Laugh at the South When it Snows, Y’all! 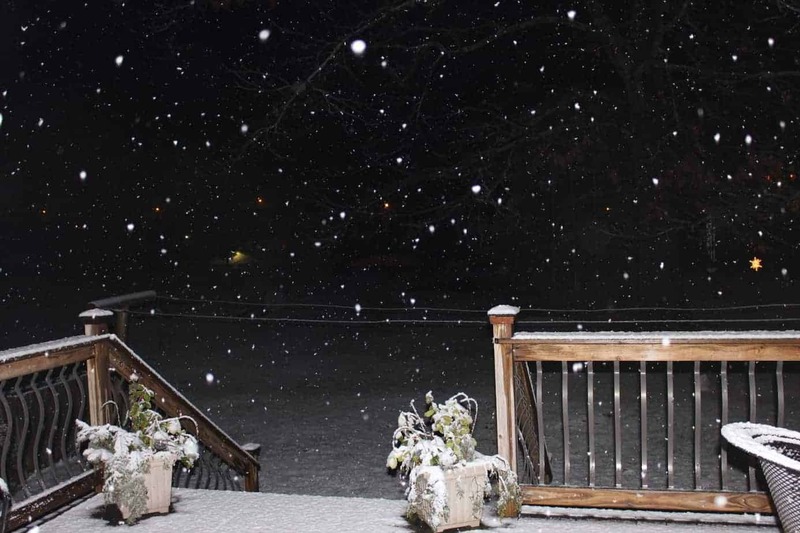 Tonight in Georgia, children are giddy with excitement. Even the parents are grinning with anticipation. We’re stalking the Weather Channel. We’re saying extra prayers. We’re cancelling Friday night basketball games and Saturday morning shopping trips. We can’t help it, y’all. Bless our hearts. 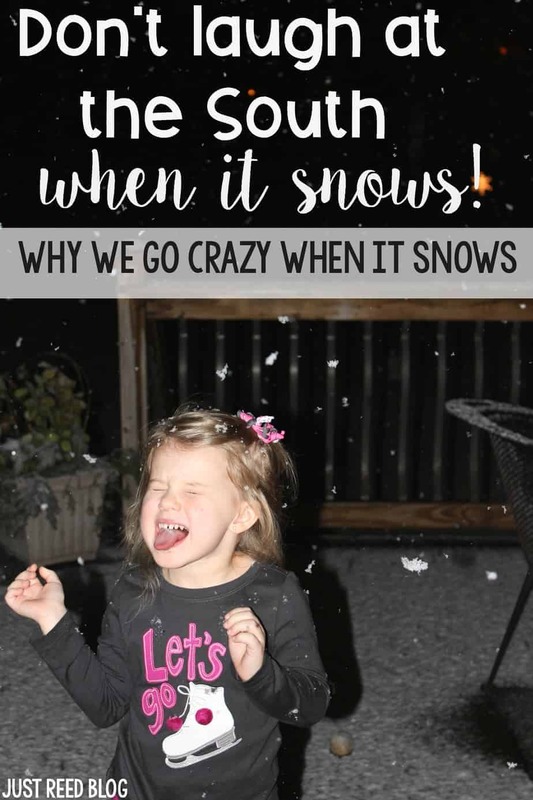 IT MIGHT SNOW! A State of Emergency has been declared by the Governor. The DOT is on standby with as much salt as they could gather and brave souls like my husband ready and willing to drive the streets all night long looking for patches of ice or signs of trouble. Sweet souls like my brother have maxed out their Amazon Prime accounts ordering sleds and waterproof gloves and snow boots that their children will outgrow well before the next snowfall. Roads will be closed. Schools and banks and churches will cancel all events. Unskilled drivers who couldn’t just follow directions and stay home will slip and slide on icy roads and get trapped on roadsides. 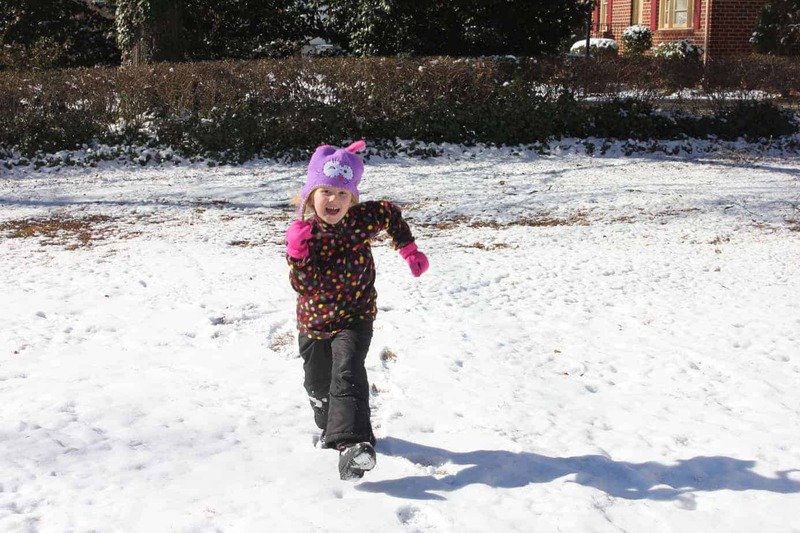 Children who don’t own proper snow equipment will take greased baking sheets to the biggest neighborhood hill they can find and fly like the wind. Soon, every loaf of bread will vanish from store shelves. Milk will disappear in apocalyptic proportions. The stores will look like they were ransacked by looters. 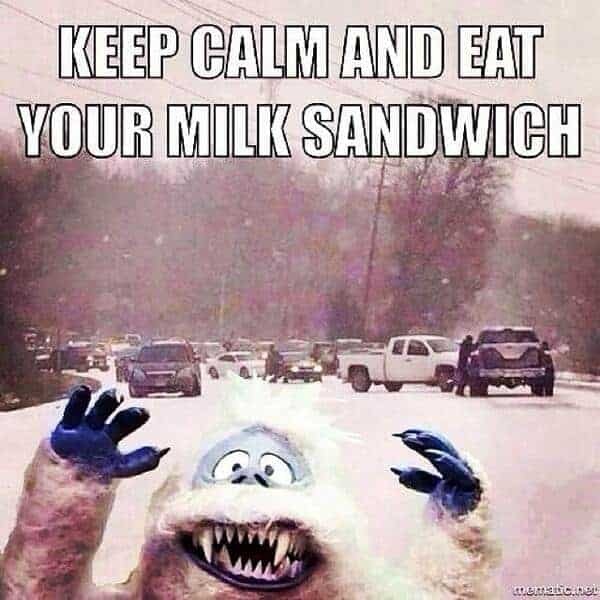 If all else fails and we’re trapped in our homes for days on end, we can all survive on our milk sandwiches. Please don’t laugh. 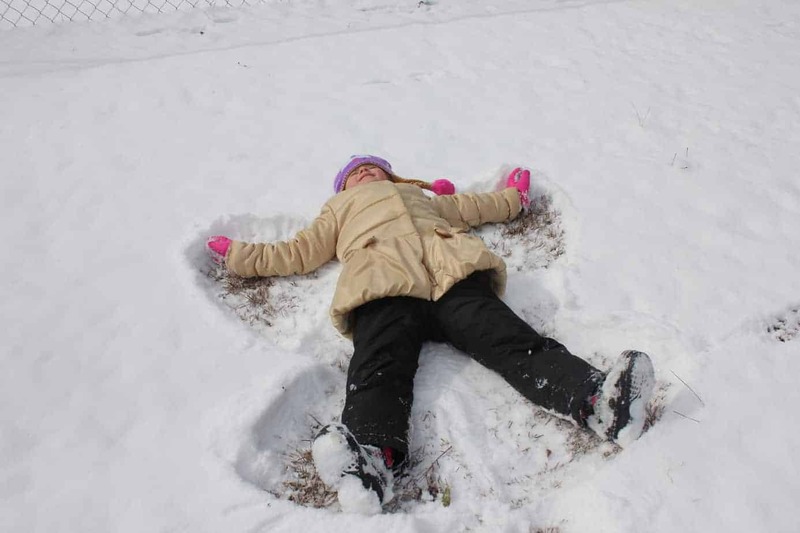 Our children are making snow angels for the first time. 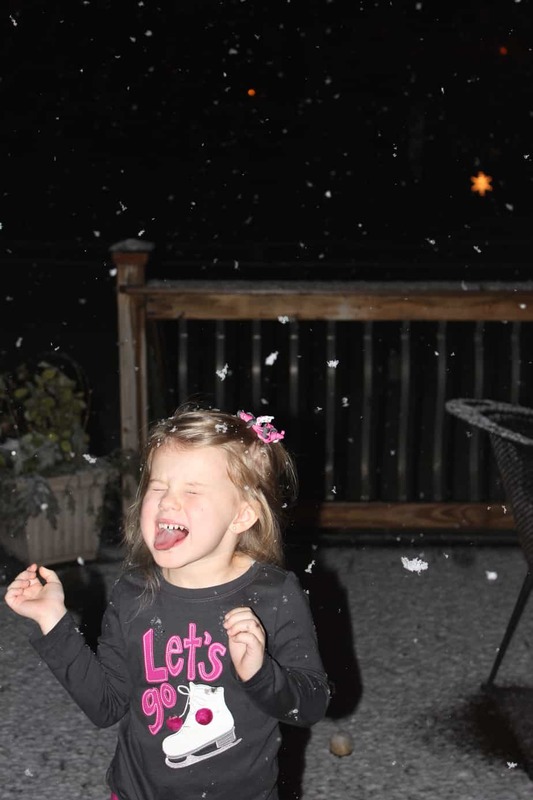 And catching snowflakes on their tongue for the first time. 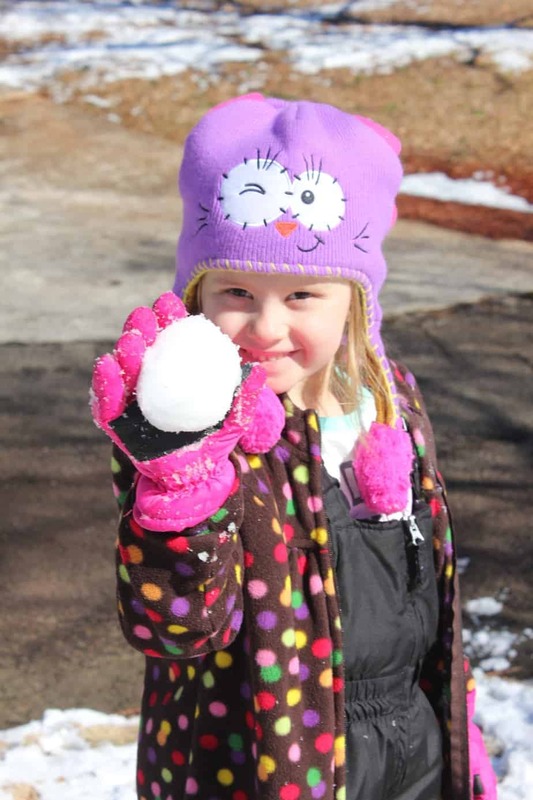 And finally having the snowball fights they’ve only read about or seen in the movies. And making memories that only come around once every 3 or 4 years when you live in the deep South. So please don’t laugh at us Southerners when we get snow. We promise we’ll come to our senses real soon. Now, we better run to the store and get our milk and bread. It’s ALMOST 2017, y’all! Can you believe it? It’s the year I turn the BIG 4-0! It’s also a time to start fresh, even in the middle of a school year. 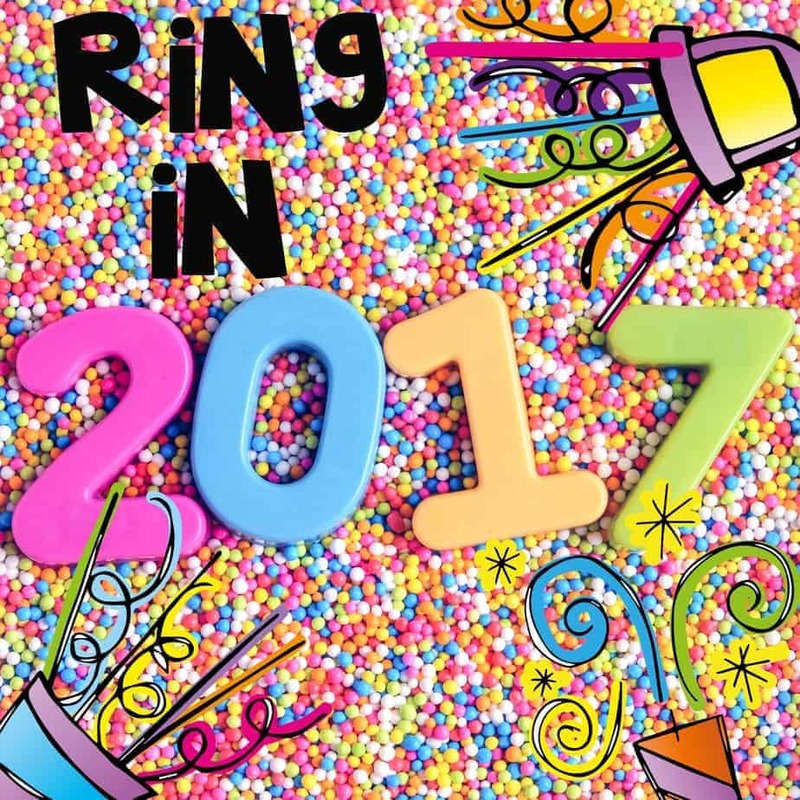 But how can we teach our students what New Years means…and why it’s exciting and important and inspiring? I hope this post is filled with ideas to help you in your own classroom. It’s important for younger students (like my firsties) to understand the difference between the calendar year and the school year. Otherwise, it’s sounds crazy to say “We’re celebrating a NEW year” when they’re still in the same grade! Remind students that when they left for Christmas break, it was 2016. But now, it’s 2017! Explain that each year on December 31st at midnight, it becomes a new year, so we just count up one time. Ask them: What year will it be the next year? Do this several times as they count up…. 2018, 2019, 2020, 2021. 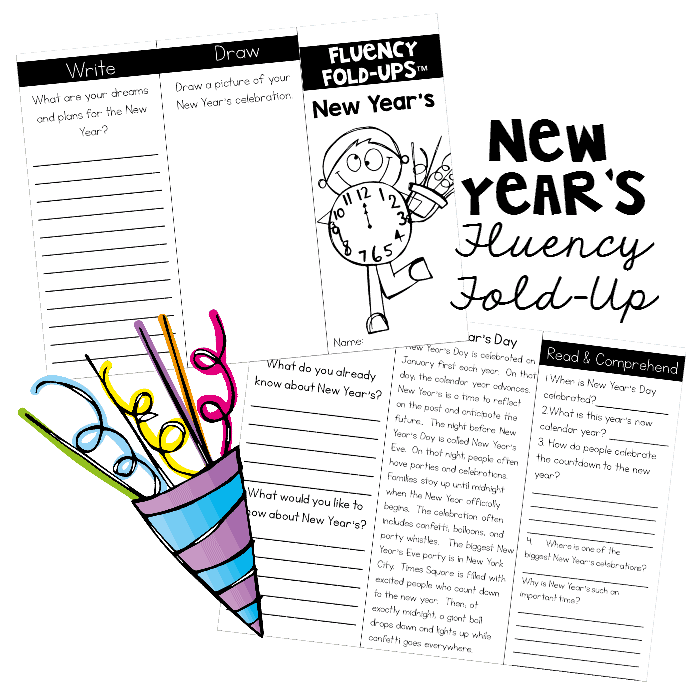 My class will be using this Fluency Fold-Up™ to read about New Year’s Day. Students will complete a pre-reading activity, read the fluency passage, answer comprehension questions, and respond with writing and drawing. If you choose to include the Chinese New Year as a part of your New Year’s learning, I love this freebie from the fabulous Erin Waters! Then, have students look ahead to the New Year as they reflect on their hopes, dreams, expectations, and plans. I hate the idea of stopping the reflections at New Year’s. Why not have students reflect WEEKLY? I simply adore this FREEBIE and blog post by Rebecca at Create Teach Share. And what fun is learning without a little celebratory craftivity? 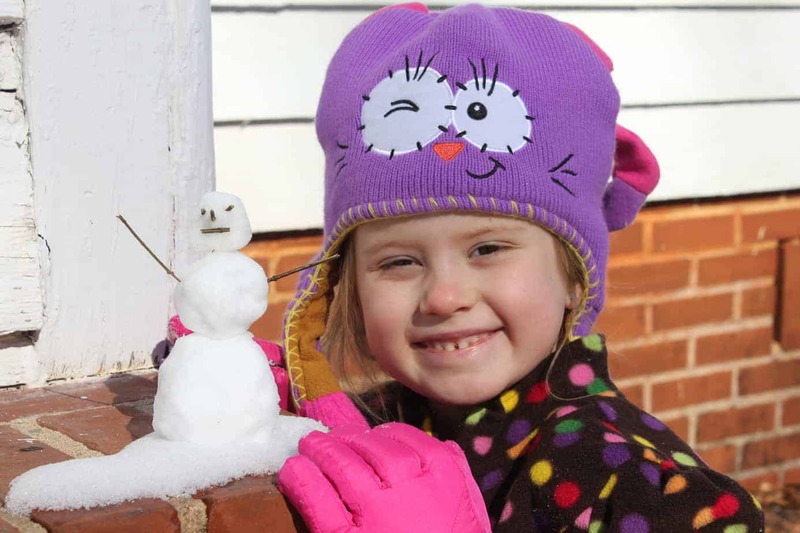 Students can make a New Year’s party hat to celebrate! Print the hats on white card stock and have students color and cut on the outside edges. Glue or securely tape the tabbed edge. Add elastic cord to the bottom to fit each student. And, Voila! A party hat for the New Year! 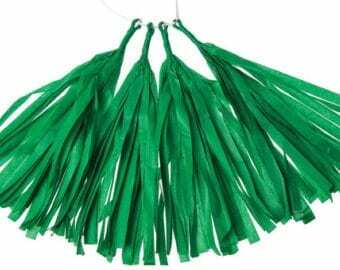 Another fun craft is a party whistle. 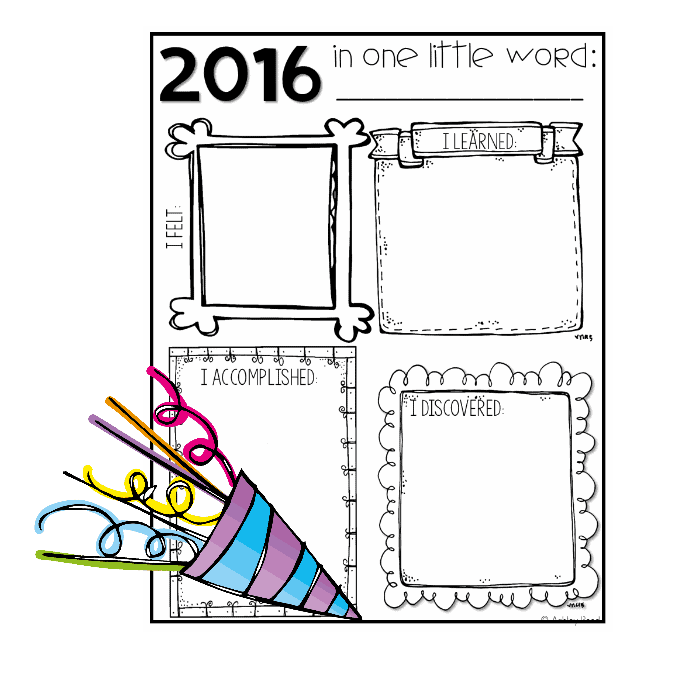 Print the “10 in 2017” page on colorful card stock. 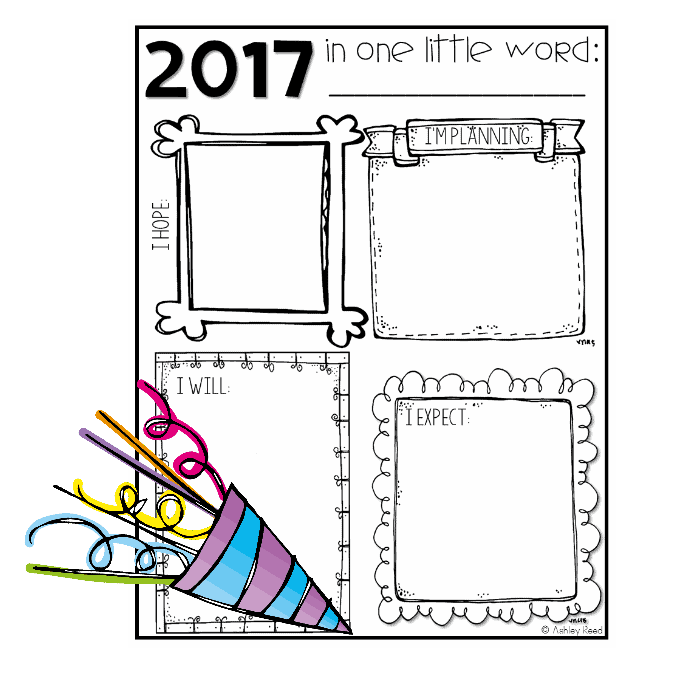 Have students list their top 10 goals for the New Year, then roll the paper into a tube shape to represent a party whistle. Add some tissue paper to the end and students can always remember their goals for the year in a fun and festive way. Here’s a great tutorial for how to make this! Speaking of goals, I love teaching students that goals should be SMART– Specific, Measurable, Achievable, Relevant, and Time-Bound. I love, love, love these SMART goal planning pages and this blog post by the 3AM Teacher. Be sure to check them out! 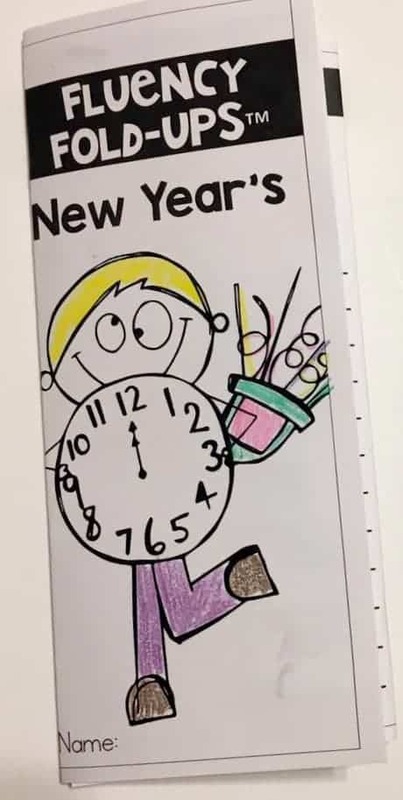 I’ll be using these pages to make my own SMART goals for the New Year! Perhaps you could collaborate with your kiddos and make some whole class SMART goals as well. That would be great for modeling how students can formulate their own SMART goals. 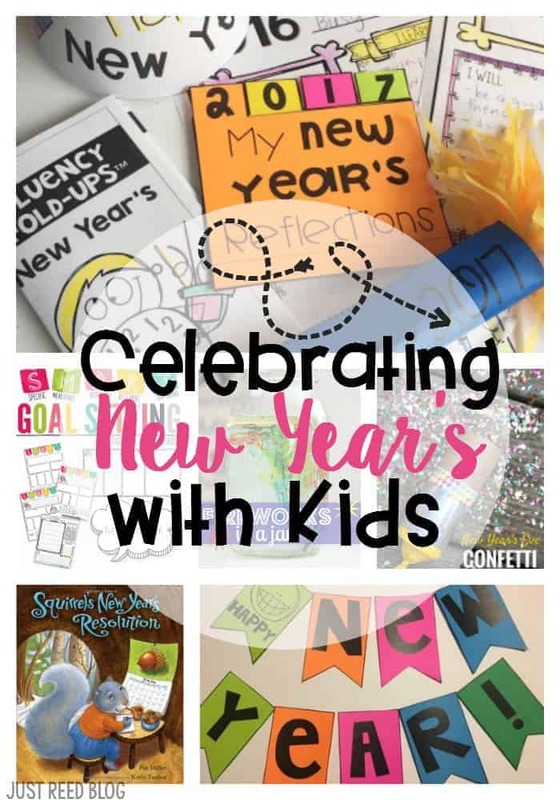 What about incorporating STEM into your classroom New Year’s celebration? 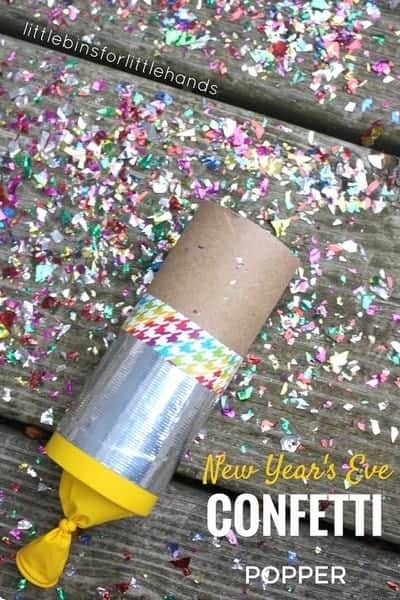 I love this party popper featured on Little Bins for Little Hands! Or maybe….Fireworks in a Jar for your STEM activity? 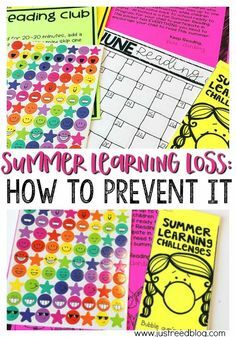 This fun idea comes from I Can Teach my Child! 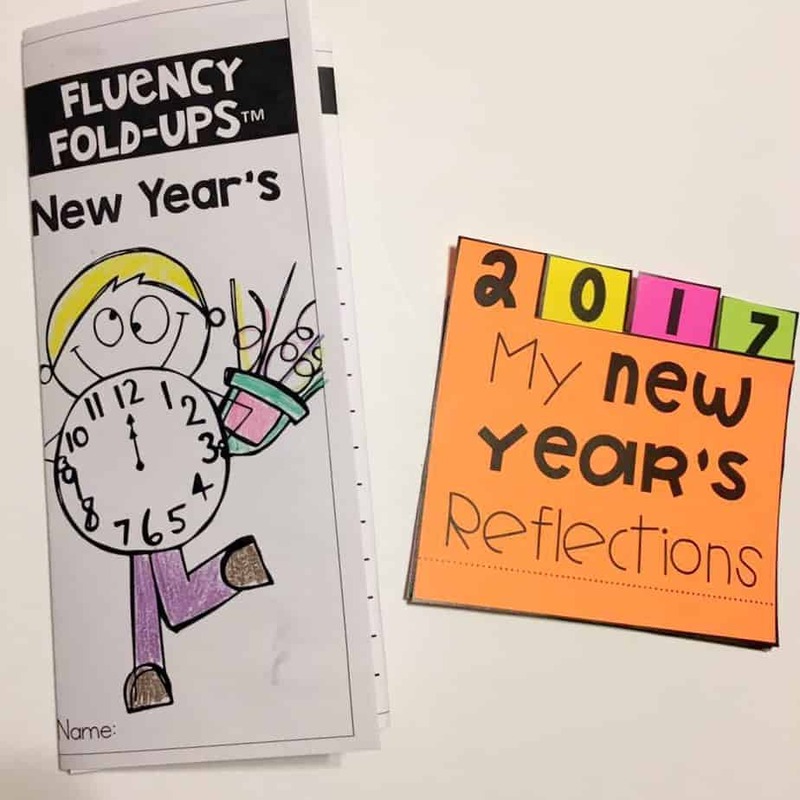 Do you like my Fluency Fold-Up™, Crafts, One Little Word Pages, and Tabbed Book for the New Year? You can find them on Teachers Pay Teachers by clicking below! I also have a little FREEBIE for y’all. This one page planner is perfect for YOU or your (older) students! Grab it by clicking the picture below! Happy New Year! May 2017 be the BEST.YEAR.EVER.